Image by nachans Some Rights Reserved. After working for a municipality and a consumers' co-op, Toru Suzuki started a project to realize Japan's first citizen-funded wind power plant. 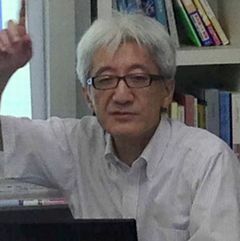 He is currently director general of the Hokkaido Green Fund (HGF). Since 2012, the Social Business Network (SBN), which aims to build a strong society based on social enterprise, has been interviewing with 100 social entrepreneurs. One interview in August 2015 was with Suzuki, who spoke about his path to success in the energy sector, without any previous expert knowledge or experience. He did this by studying to test his ideas, attracting collaborators, and conducting many trials. In this JFS Newsletter, we present an article translated from the interview with Suzuki. After the Great East Japan Earthquake and the Fukushima Daiichi nuclear disaster in 2011, the situation and social awareness about energy issues has shifted 180 degrees in Japan. In the past, few people were interested in how the electricity they consumed was produced or where it came from. As people learned more about how the Fukushima nuclear disaster occurred, they began paying more attention to renewable energy, and our organization experienced a dramatic increase in the number of inquiries and requests about our projects. I myself began to take interest in energy issues through campaigns against nuclear power, mainly by members of the Seikatsu Club Consumers' Co-operative Union (SCCU). They raised awareness about radiation-contaminated food caused by the Chernobyl nuclear accident in 1986, and organized a petition calling for a citizens' referendum ordinance to decide on whether or not to start operations of Hokkaido Electric Power Company's (HEPCO) Tomari No. 1 and 2 nuclear plants. The campaigns greatly influenced the social movement against nuclear power. When a plan to build the No. 3 plant was announced in 1996, I suspected that collecting signatures on petitions or organizing demonstrations was not enough to change society, and came to wonder if new energy sources could be developed to replace nuclear energy, just as we had seen when safe and reliable food was developed by the SCCU co-op through discussions with food producers. Meanwhile, Japan's Electric Business Act was amended in 1995, for the first time in 31 years, and then the COP 3 Climate Conference was held in 1997 in Kyoto. This social context also boosted the motivation to produce safer and more reliable energy. In our green electricity rate system, members are asked to pay an additional amount equivalent to five percent of the electric utility charges and donate it to a fund, which is then use to promote renewable energy. This idea is based on the notion that environmental impacts should be shouldered by electricity consumers according to the amount of electricity they consume. Their efforts to save energy would lead to lower environmental impacts and reduce their contributions to the fund. SCCU was a pioneer when it introduced this system in April 1999, with 60 monitors participating from among SCCU members. Even if they have joined this system, members are still under contract with the Hokkaido Electric Power Company, which supplies the electricity and checks their electricity meters, but the bills are sent to SCCU. The co-op withdraws the amount of electricity charges plus five percent from each member's bank account, and makes one payment of the aggregate amount of the electricity bills to the power company. Members are encouraged to save electricity by an amount equivalent to the additional five percent cost. In our bill to co-op members regarding SCCU joint purchases, we went as far as listing electricity charges together with food purchase expenses, and withdrew the amounts from their accounts. This is because we wanted members realize that energy is not simply supplied automatically from somewhere, but is something they purchase through conscious decisions. In addition to the co-op's pilot program, we decided to form a new organization to encourage more citizens to participate in the green electricity rate system. In July 1999, shortly after the Act on Promotion of Specified Non-profit Activities went into force, we established a non-profit organization called the Hokkaido Green Fund (HGF). Of course, the funds we could hope to collect were far short of the 200 million yen (about U.S.$1.8 million) initially estimated cost to build one wind turbine. We approached some banks to obtain loans, and one of them replied that it could finance us if we collected 30 percent of the project cost up front. So directors and others started asking friends and relatives to invest in the project, with the goal of raising 60 million yen (about $0.5 million). During that time, a newspaper article titled "Citizens' Power to Build Wind Turbine" appeared in the Hokkaido Shimbun daily newspaper, and produced a lot of response. This led to a dramatic increase in the number of offers of donations and investments. It was a miracle! We eventually collected 140 million yen (about $1.3 million). 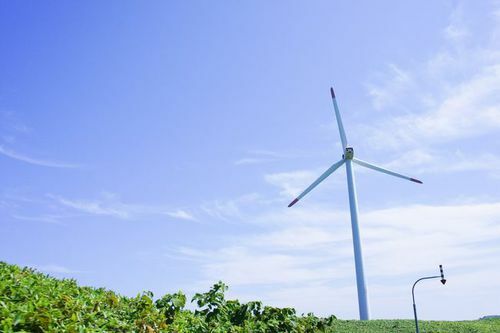 With 80 percent of the project cost funded by citizens and 20 percent by a loan from the bank, the nation's first citizens' wind turbine, dubbed Hamakaze-chan ("beach wind" in Japanese) successfully started operation in Hamatonbetsu, Hokkaido, in September 2001. In Japan, there was no precedent for launching a wind power project funded by investments and donations from a large number of general citizens. As a result, we had to create a framework from scratch using an "anonymous partnership" structure, in which each partner or investor enters into a contract to provide funding to a business operator and receives a share of the profits derived from the business. Under this system, the business operator is required to disclose information to maintain the transparency of management, and also to make a consistent profit. Besides the energy sector, we had to gain expertise in a variety of fields, such as financing and law. We studied the issues on our own, but where necessary we also visited auditing firms and financial institutions for help, and also held study sessions. Thankfully, specialists in these fields showed interest in our new project and provided advice to us without charging consulting fees. One organization alone cannot easily perform tasks as extensive as stable wind power generation operations and promoting similar projects to other areas in Japan. So we gradually improved our organization and eventually created two new companies to separate the HGF's functions, namely, the Community Wind Power Co., for planning, developing, managing, and operating renewable energy projects, and the Japan Green Fund Co., for soliciting, forming, and managing anonymous partnerships in renewable energy projects across the nation. Meanwhile, Hokkaido has great potential in renewable energy resources, but lacks expertise, experience, and human resources. In contrast, large businesses are able to move more quickly to start and expand their renewable energy projects. In response to the local municipalities' desire to launch community-based renewable energy projects for their own communities, we also established the non-profit group Renewable Energy Organization of Hokkaido, which aims to form a policymaking system for promoting renewable energy, as well as develop human resources and systems for launching community-led projects in various parts of Hokkaido. There are many challenges in managing these organizations, but they attract local experts in each area and can create jobs. Annually, members of these organizations gather at a workshop camp to facilitate communication among them. At the last workshop, we discussed topics including future goals for 2020, in order to develop a common medium- to long-term vision. As for energy, regional circulation is important, from the aspect of efficiency. Some European regions that have switched to renewable energy have seen significant benefits, such as increases in the number of new businesses attracted, more municipal tax revenues, growth in employment, and a decrease in greenhouse gas emissions. As of April 2013, 72,900 megawatts (MW) were being generated by renewable energy in Germany, and over 40 percent of that was from operations owned by individuals and farmers. That means about half of renewable energy was from citizens. Feed-in Tariff (FIT) programs (recently launched in Japan), whereby electricity produced by renewable energy is purchased at a predetermined price, represent not only energy policy. They are also policies to support primary industry. As of December 2014, 18 community wind power plants were generating electricity in Japan, with a total output of 29,000 kilowatts, which is equivalent to the consumption of about 19,000 households, or 30,000 to 40,000 people. The local children named our wind power plants and the names of investors and contributors are written on commemorative plaques installed at the plants. Some people invested under the names of their children or grandchildren, while others presented their investment to newly married friends as a wedding gift. Meanwhile, one student council invested money gained from recycling and waste collection to use their dividends for regional welfare activities and environmental education. The average investment for a plant is about 600,000 yen (about $5,360), and we have been paying dividends of 2 to 2.5 percent. This is an investment that comes with risks, but as our return is higher than the interest from bank saving accounts, we have a growing number of repeat customers. The Atsuta Community Wind Power Farm was born in December 2014 in Ishikari City, Hokkaido. From the profits from selling electricity, it contributes a portion to the city every year, which the city plans to use for local environmental activities, after establishing an environmental fund for urban development. Meanwhile, the Aikaze Community Wind Power Fund Co. collects investments from citizens and shares the profits, giving away a portion of interest income back to local organizations involved in community development in the Atsuta region. Renewable energy is often referred to as a policy-driven market, and it is significantly influenced by factors such as social conditions and amendments to legislation. As it is also a field that is constantly progressing technologically, anyone involved in this area needs to have flexibility. At first everyone around me said that it is impossible to collect money from citizens to build a wind power farm. But there are ways to accomplish what at first seems to be impossible. Even if I do not have a lot of money or skills, if I have determination, toughness, and generosity, then people will come forward. People are the most important resource. Of course, some people may emphasize the demerits of renewable energy, and others with vested interests may try to interfere. But we need to accept these obstacles, and build a consensus about our choices. Even if someone has different opinions or circumstances, we can find what we have in common, and then negotiate and cooperate with each other. But it is important to make a profit. If you can't turn a profit, you will not attract new collaborators and the effort will not be sustainable. The reason that most municipality-operated wind power farms fail is that responsibilities are not clear and they have to adopt a system that does not pursue profits. On March 11, 2014, 13 groups from all over Japan gathered to inaugurate the National Association of Local Energy Generators. We believe that each region should use its local resources in the optimum way, and in the future plan to use not only wind power but also other energy sources such as small hydroelectric and biomass. "Interviews with 100 social entrepreneurs: Learning from the business models of veteran social entrepreneurs"